The Skyland Farm team enjoyed two beautiful weeks in early June under the oaks at the Upperville Colt & Horse Show and Loudoun Benefit Horse Show in Upperville, Virginia. The picturesque show grounds, located just minutes from Skyland’s home base in Middleburg, allowed for lots of fun and socializing as well as ribbon-winning performances. 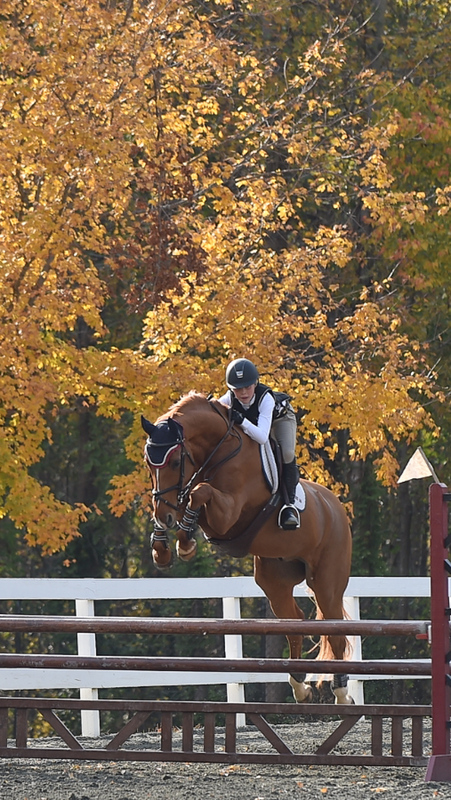 During Upperville, highlights included Emma Pell’s top results in the High Children’s Jumpers aboard Ari 55. The pair ended the week tied for the reserve championship. 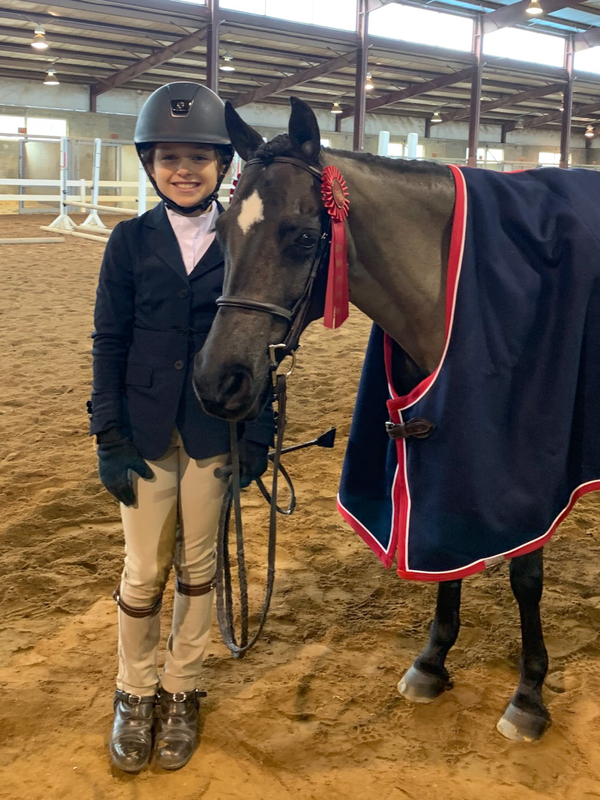 They continued the momentum into Loudoun, where they earned top ribbons and placed fifth in the NAL/WIHS High Children’s/Adult Jumper Classic after going first in the class and setting an impressive pace. Leslie Kopp and Fenwick also earned a tricolor, taking a reserve championship in a section of the Local Hunter Owner/Rider division. The pair also returned for ribbons in the Adult Amateur Hunter, 50 and over section, and Leslie also piloted Griffin to excellent ribbons in the same division in a competitive field. Fenwick showed his talents during Loudoun as well, winning the Performance Working Handy Hunter over fences class with Chiara Carney in a class of more than 30 entries. Michele Trufant and Prime Time also earned excellent ribbons in the Local Hunter Owner/Rider section and, like Leslie, they accrued ribbons in the Adult Amateur, 50 and over, section. 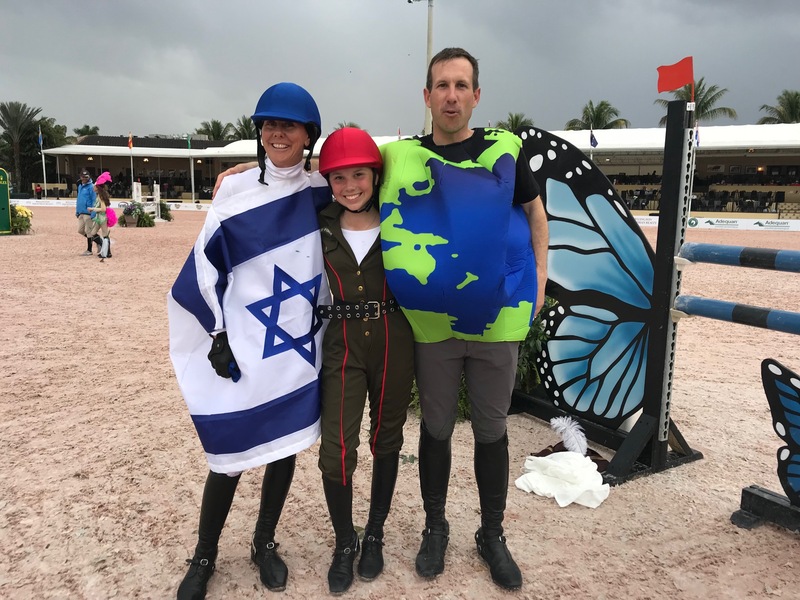 Michele also showed her prowess in the Jumpers, riding Itchy Garrett to multiple ribbons in a variety of classes, including the Take2 Thoroughbred Jumpers. During Loudoun, Michele and Itchy earned the reserve championship in the Take2 Thoroughbred Jumpers and also placed second in the Take2 Thoroughbred Jumper Classic to round out a wonderful show. 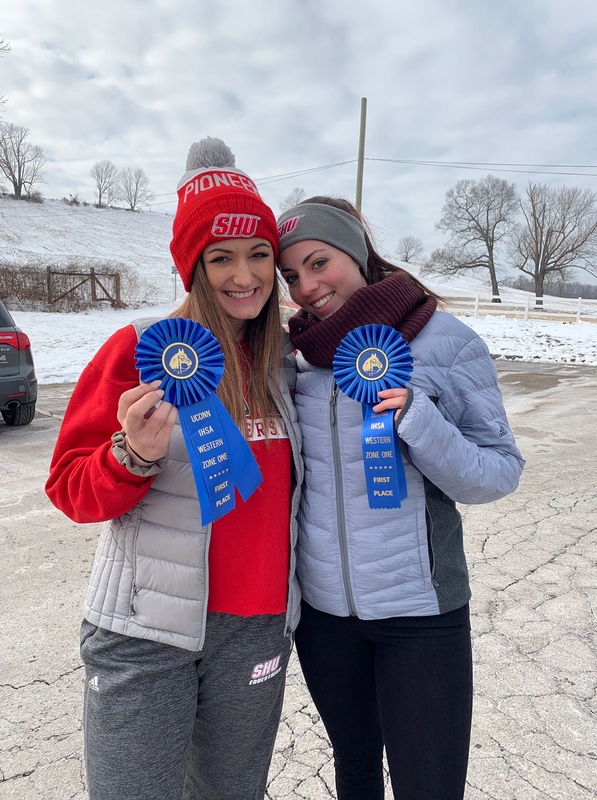 Danielle DeRisio and Cirena jumped to ribbons in the Low Adult Amateurs and Schooling Jumpers, including many clear rounds during both weeks. It was a clean sweep in the performance classes for Judith Hahn’s Twizzler in the Green Pony Hunter section during Loudoun. Under Emma’s expert guidance, Twizzler won every class and earned the Grand Pony Championship as well as the section championship. Emma also piloted Thora Pollak’s lovely Rebel Yell to wins in the Medium Pony Hunter section, with victories in the model as well as over fences and in the Pony Hunter Classic. Emma also made her presence known in the big equitation classes. She guided F15 to ribbons in the ASPCA Maclay, WIHS, Platinum Performance Talent Search and the VHSA Medal, to name a few. Mosie Pennington and her ponies Yours Truly and Dreamscape picked up ribbons both weeks, with Mosie making her regular pony debut in the Smalls with Dreamscape during Loudoun and winning a ribbon in every class. The Skyland Farm team traveled to HITS-on-the-Hudson IV in Saugerties, New York, July 19-23 for the show, which also included the Adequan/FEI North American Junior and Young Rider Championships. In their first appearance on the tour, Emma Pell and Ari 55 competed on the Zone 3 Children’s Jumper team. They ended with a bang, winning the NAJYRC Children’s Jumper Farewell competition. “I’m proud of Emma. 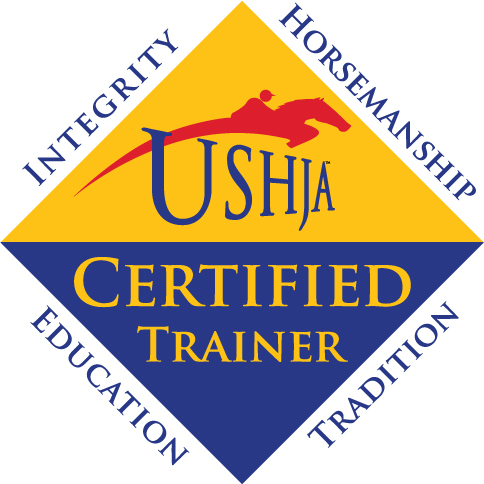 She had a super finish for her first young riders tour,” said trainer Denice Perry. Skyland’s Leslie Kopp also traveled to New York, making the long trip worthwhile. She guided Gone Country and Griffin to a sweep of the championship and reserve championship honors in the Adult Amateur, 50 and Over section. Earlier in the month, Skyland Farm riders and horses captured top honors at HITS Culpeper Showday National and the Warrenton Pony Show in Virginia, respectively. Highlights included Virginia Bonnie topping the VHSA Hunter Seat Medal flat with Jelti JS, while Mosie Pennington and Oh Good Night earned the reserve championship in the Short Stirrup Equitation section. Michele Trufant’s Itchy Garrett tied for the .90m Jumper championship, while Emma Pell and Amelie tied for championship honors in the 1.0m Jumpers. The Skyland Farm team traveled to the RMI Raleigh Benefit Horse Show, November 16-20 in North Carolina, and finished the 2016 show season with a combination of amazing results and lots of fun. A highlight of the week was Friday night’s Rotating Pair Relay, where Emma Pell and Chiara Carney entertained the spectators with not only their costumes but also their exciting performance. Emma was the “robber” on Amelie and Chiara was the “cop” riding Ari 55, and they switched off jumping the course in a relay fashion without faults to finished second to winners Tracy Magness and Wendy Libert who rode as simple pleasures “pizza” and “beer.” It was a great class and so much fun for everyone! Emma continued her streak in the Low Children’s/Adult Jumpers where she won two classes and earned the championship aboard Amelie. Emma also took excellent ribbons riding Ari 55. Leslie Kopp concluded her banner show season with more accolades in the jumper and hunter rings. 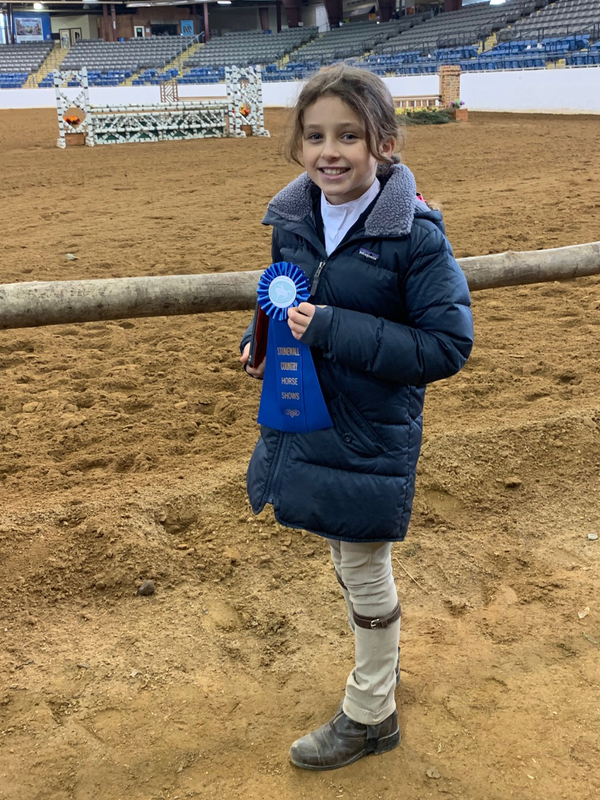 She earned ribbons in the Low Children’s/Adult Jumpers aboard Cardine and also picked up placings with Carduzo as well. 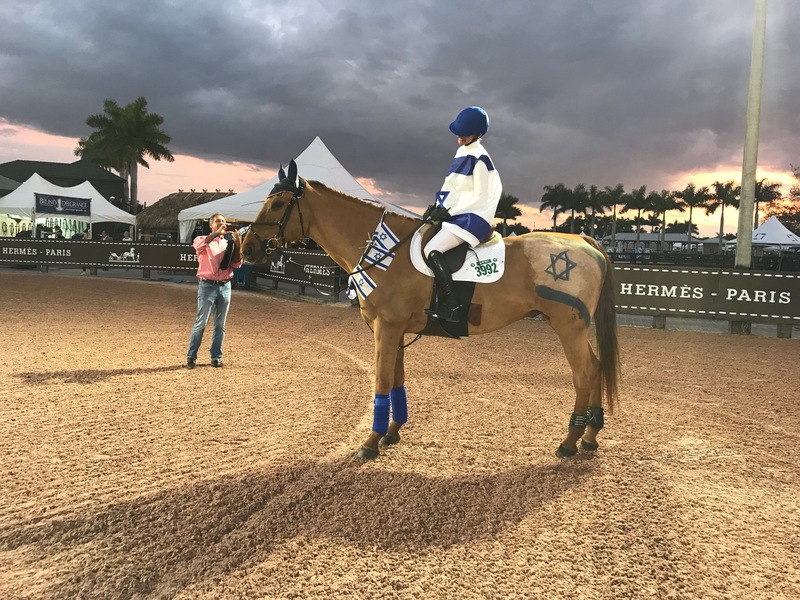 Leslie’s time in the hunter ring was especially memorable at RMI for her victory in the Amateur-Owner Hunter Classic and championship honors in the 3’3″ Amateur-Owner Hunter section with Gone Country. Earlier in the week, Chiara Carney also piloted Gone Country to the tricolor in the Green/High Performance Hunters for an especially rewarding week for the elegant bay. 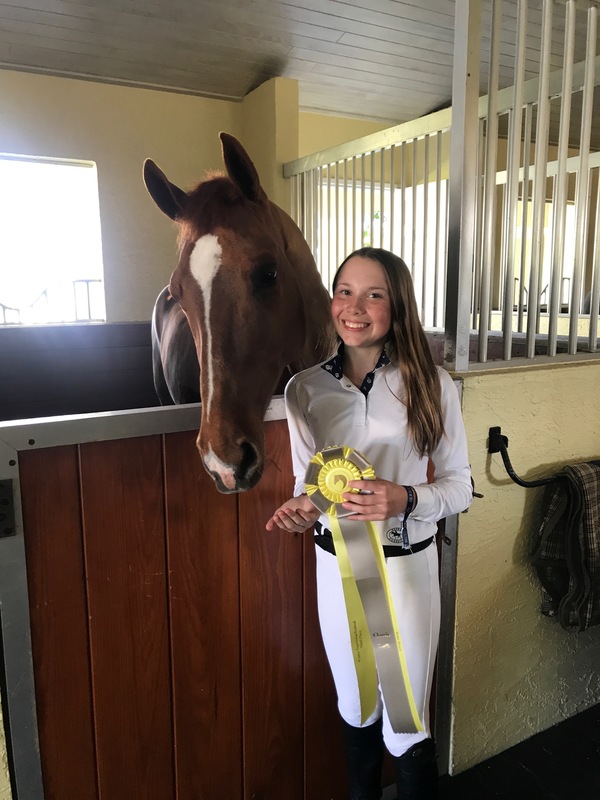 Leslie also earned excellent prizes in the same section aboard Fenwick, who also took home championship honors in the 3’6″ Performance Hunters with Chiara. Michele Trufant and her longtime partner Prime Time captured championship honors in the Adult Amateur, 36 and over, section with consistent results in every single class. 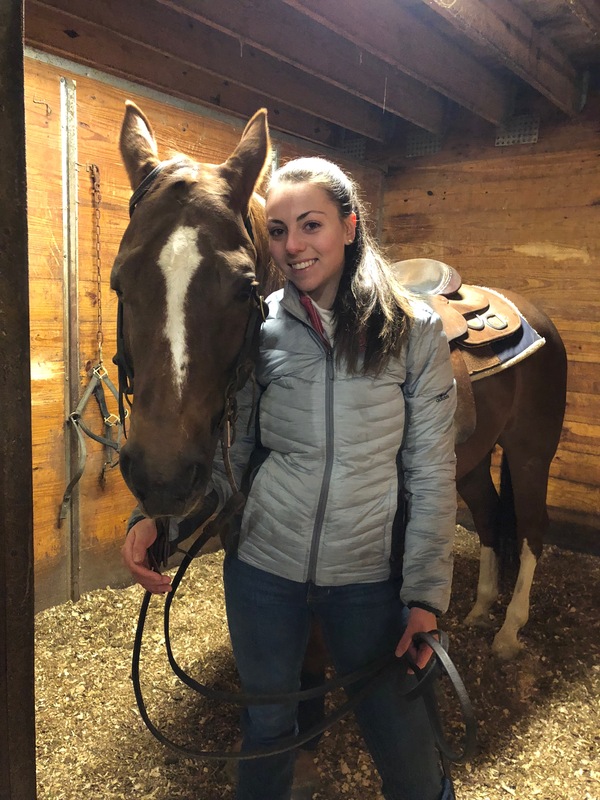 Michele also brought her up-and-coming Thoroughbred Dancing Ollie for some show experience with Denice in the irons, and he was rewarded with the TIP High-Point Thoroughbred Hunter Award. Ollie also earned the reserve championship in the Training Hunters.